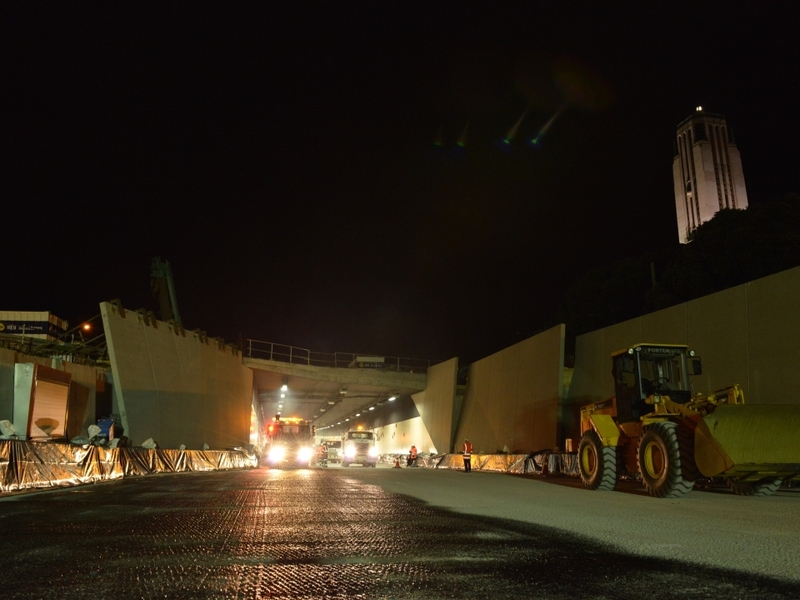 Building of the structures and road surfaces which form the underpass has been completed and the tunnel is now open. Work on the National War Memorial Park is underway. Strength and resilience was a key part of this field trip with steel reinforcement and concrete pouring well underway. You met Russell Scoones to see what sort of temporary structures had to be built on site before the concrete was poured. Cole Meiring described how the tunnel was being built strong enough to withstand a 1 in 2,500 year earthquake. You met Htut Win and heard how the team is planning to move the Home of Compassion Crèche in one piece to become part of the National War Memorial Park. Historian Mathew Tonks gave a rundown of why the historic crèche is being preserved and included as part of the Memorial Park. You saw how stormwater and groundwater is being managed with GIS mapping and smart drainage design. Katherine Heays shared her thoughts on what it is like working in the construction industry. You met Construction Manager Steve Croft who gave you an overview of how all the teams within the Memorial Park Alliance are organised. You visited Mount Cook School and found out how the students have been involved with this construction project. The tunnel opened to traffic a month early. The first cars entered the tunnel late on the night of Sunday, 28 September 2014. 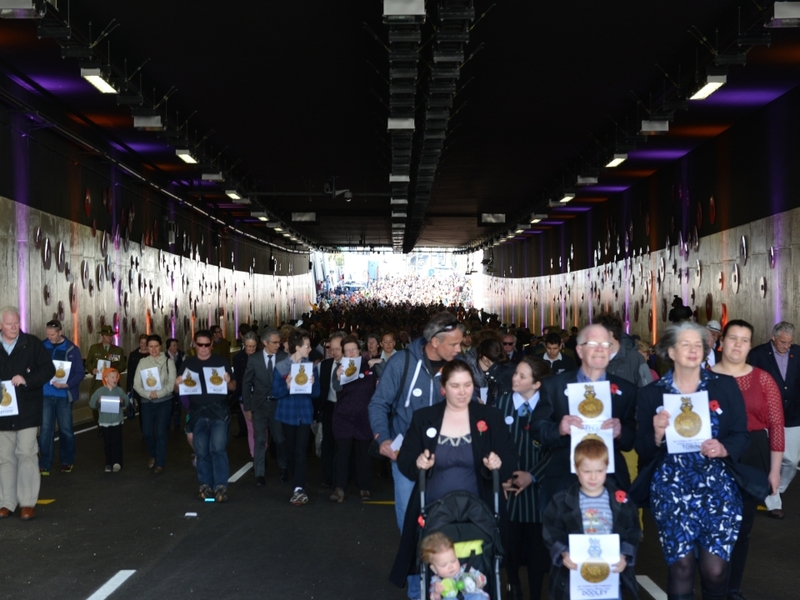 The day before, an estimated 10,000 people walked through the tunnel during an open day. It is called the Arras Tunnel, named after a French town where the New Zealand Tunnelling Company served from November 1916. Their role was to extend an existing tunnel system towards the German lines and create new tunnels capable of housing nearly 20,000 men. 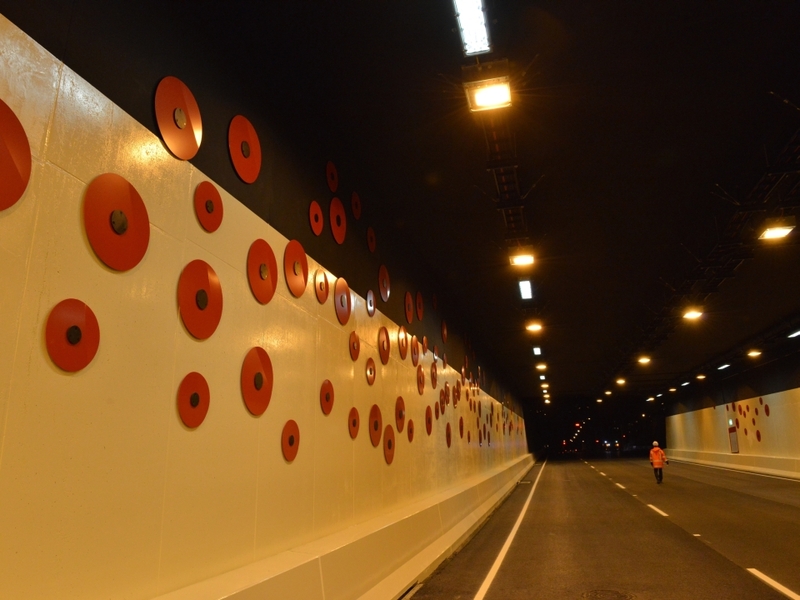 The tunnel is lined with decorative poppies to symbolise New Zealanders who lost their lives in the First World War. Construction of the terraced park, memorials, open spaces, walkways and vehicle routes, which will be the Memorial Park, has started. The park will be open in time for Anzac Day 2015, the centenary of the Gallipoli landings in the First World War. Visit Park Designs & Development and click on Park drawings for images giving you an idea of what Memorial Park will look like. Also watch the National War Memorial Park 3D animation - a 5 minute overview of all four stages of the Memorial Park project (on YouTube). What New Zealanders left behind in Arras, France (WW100 site). The WW100 article has a map, photos and links to newspaper articles and a TV documentary. 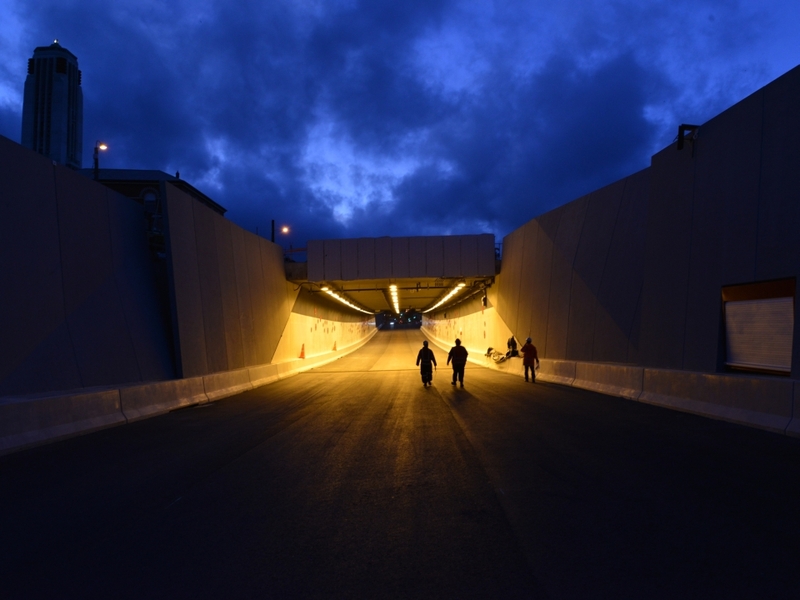 Wellington’s Arras Tunnel (NZTA Memorial Park site). Online PDF version of the brochure handed out at the tunnel open day on Saturday, 27 September. It covers the WWI Arras miners (pronounced Ah-RAHS with emphasis on the second syllable) and how Wellington’s Arras Tunnel was built. 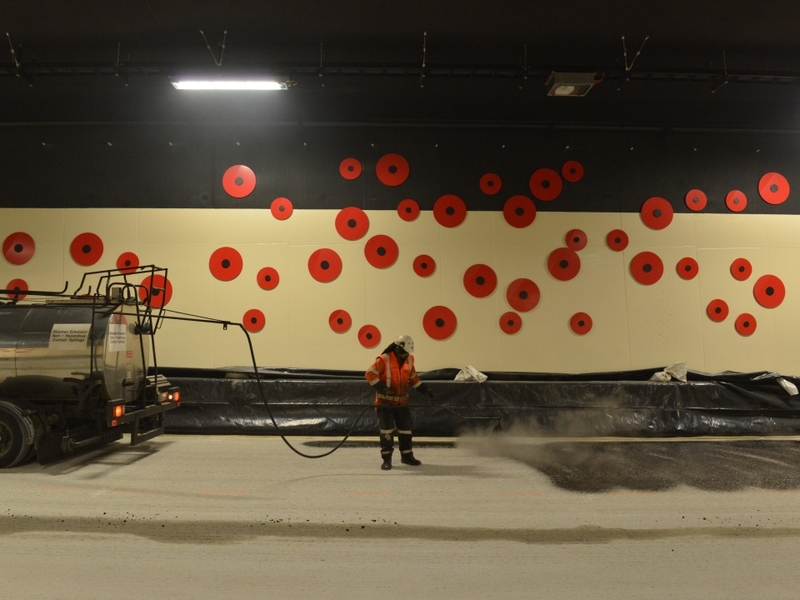 See also: Memorial Park Alliance update, 5 September 2014 for more information about the Arras Tunnel and latest happenings around the project site. 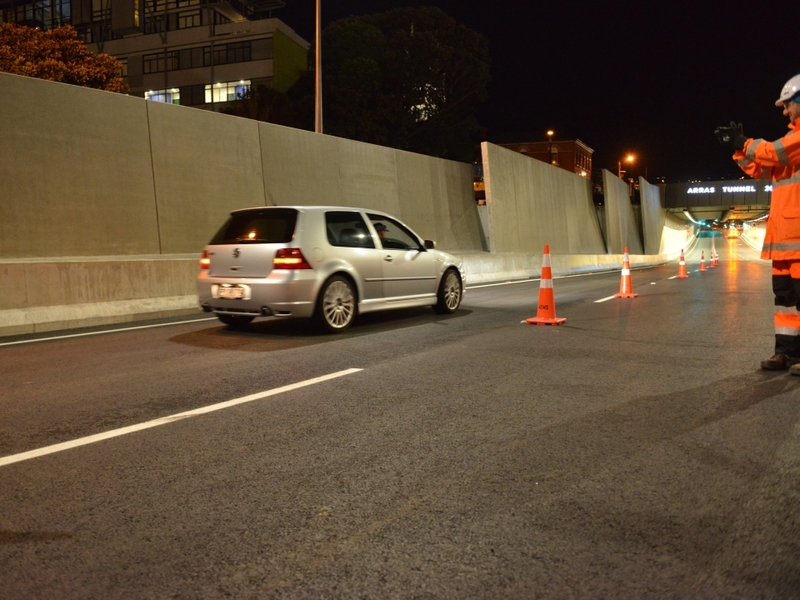 Asphalting the tunnel from the Taranaki Street portal. Image: NZTA. A worker asphalting the road inside the tunnel. Image: NZTA. The tunnel ready for white line marking. Image: NZTA. A crowd at the Arras Tunnel opening ceremony. Image: NZTA. 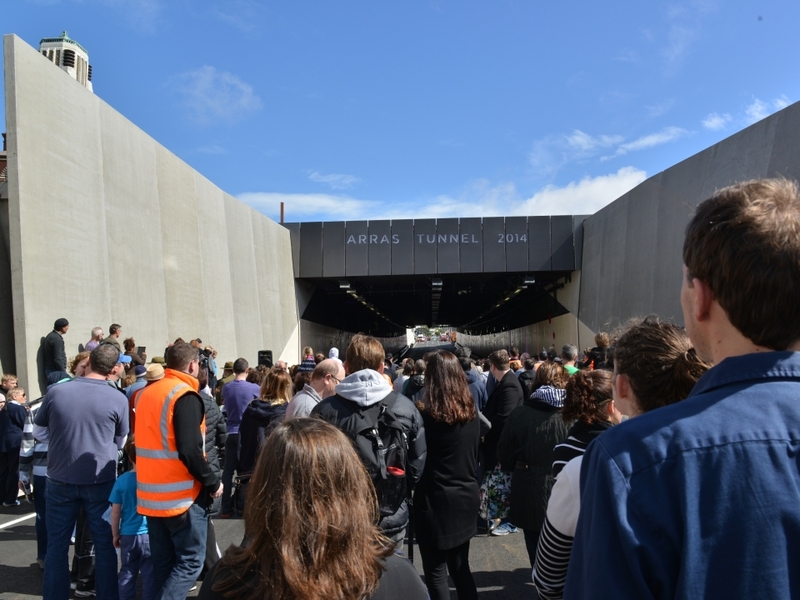 Descendants of the WW1 New Zealand Tunnelling Company lead the crowd through Arras Tunnel. Image: NZTA. Arras Tunnel with the Carillon in the background. Image: NZTA. Poppies in the Arras Tunnel. Image: NZTA. 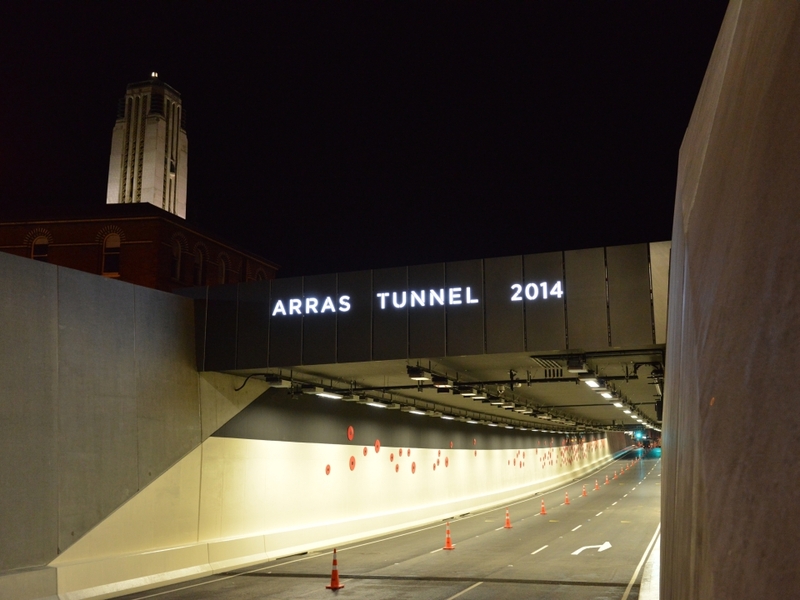 The Arras Tunnel opens to traffic. Image: NZTA. Download this document for all the latest facts and figures! Word (132k) | PDF (50k).